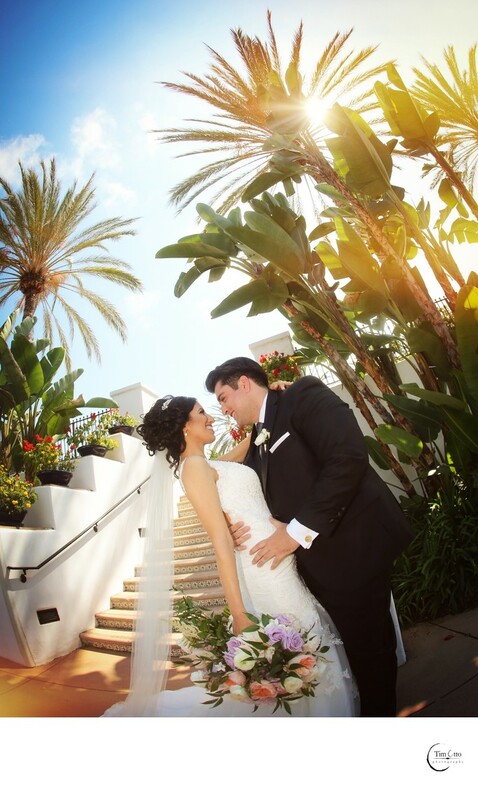 Beautiful wide angle photo of the bride and groom with the palm trees and the beautiful sun flare at the Omni La Costa. Location: 2100 Costa Del Mar Rd, Carlsbad, CA 92009. 1/8000; f/4.5; ISO 1250; 15.0 mm.